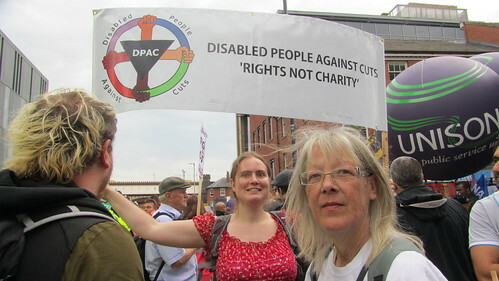 DPAC went to Manchester for the TUC march on the Tory Conference. There were reports of more than 35 000 marchers by the BBC. There was some uncertainty as to where disabled people should be but we stayed together and was near the top of the march. It was very noisy, ‘they say cut back, we say fight back’ the crowd chanted. 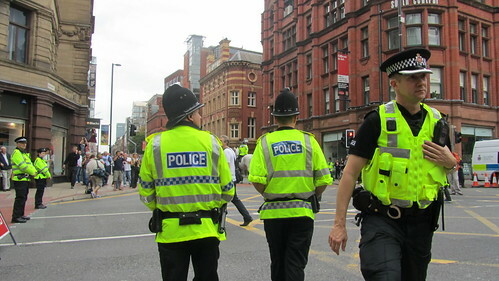 The police presence was very obvious and snipers were spotted by some when we approached the Manchester Central Convention Centre. But it was mostly peaceful.